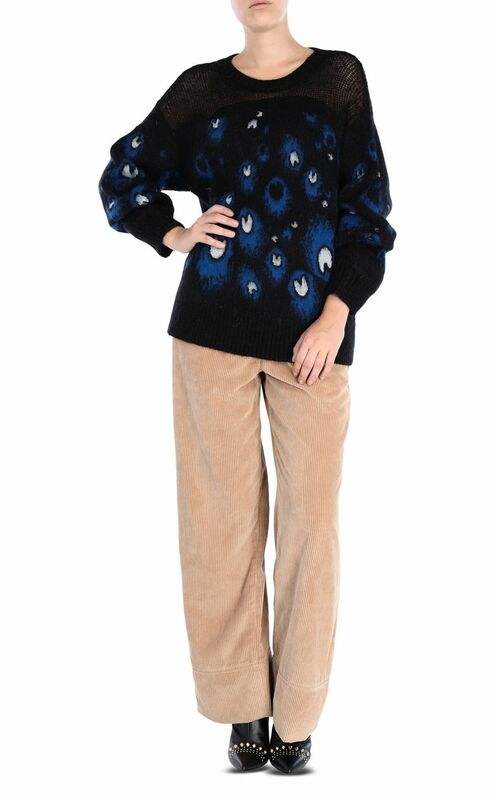 Featuring the Eye of the Peacock collection print, this sweater is a key ladylike look for any woman who loves an elegant and sophisticated silhouette. 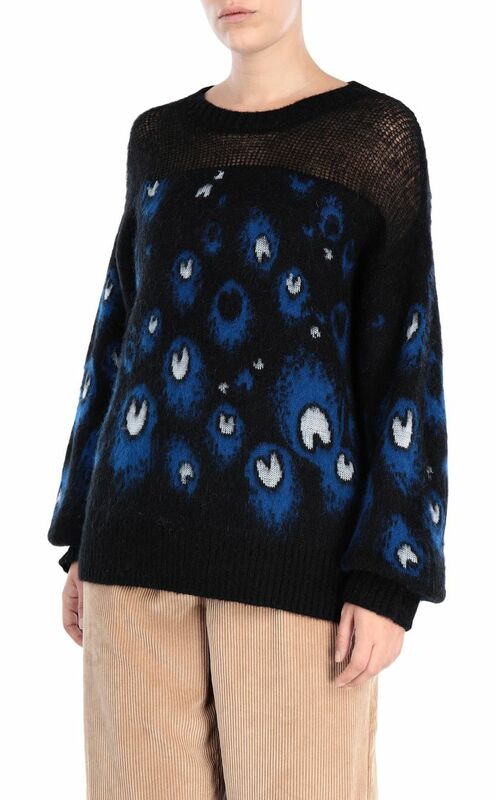 The sheer neckline marries perfectly with the rest of the style in a wool blend. The billowy sleeves add a romantic look. Perfect for special occasions. Regular fit.